E85 stations across the country continue to increase reaching 1521. The month of March saw the addition of 20 new E85 locations down from the 26 in February. According to the April 11 issue of the E85 Newsletter (www.e85fuel.com), Congress has recently blasted oil execs for the outrageous profits. First let me say, I whole-heartedly agree. But here's my issue - E85 costs MORE than oil-based fuel. Sure the price at the pump is lower ($2.99 vs $3.29 at my station) but the economy of E85 is significantly worse meaning I have to buy more and spend more then if I used regular! It seems to me that the E85 makers/sellers are just as guilty of price gouging as the oil companies. If you really want me to use E85 (and, believe me, I've wanted to for 8 years since I bought my 2000 Ford Ranger XLT Flex Fuel), drop the price. Until the real world cost of E85 is below that of regular fuel, it's not going to happen. I simply can't afford to spend $0.20 a gallon more (based on calculations from the http://www.fuelgaugereport.com/ site). 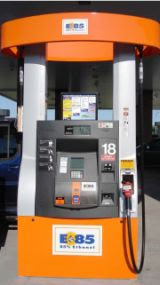 It's easy to blast the oil companies - I swear at them every time I drive past a gas station - but let's take a look at the TRUE cost of E85 and ask ourselves if the corn-fuel industry isn't trying to hop on the oil companies band wagon and make a killing off consumer ignorance and lack of choice. The ethanol industry only has direct control of a handful of E85 locations. Most are run by independent station owners. The two stations in my area that sell E85 have said publicly that E85 needs to be priced 15% lower than regular unleaded. The last time I went by there they were exactly 15% lower. That is the number one rule in retail, to sell your product for the most that you can get out of it. The thing that would make a difference there is more stations so that the level of competition was higher. Right now E85 in most places is competing with gasoline and will be priced in proportion to gasoline.